"They're a dangerous breed when they go ferral, academics are." 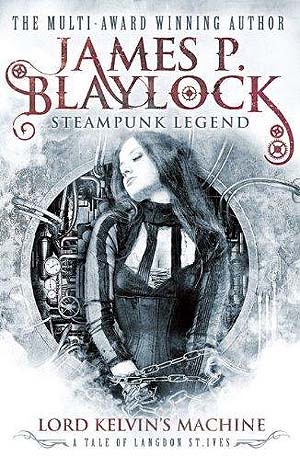 Langdon St. Ives clashes again with Dr. Narbondo, who has murdered the gentleman-scientist's wife and is threatening to use volcanoes to push the earth slightly closer to the path of an approaching comet. This means that the earth's magnetic fields will attract the comet's iron core, thus making collision and the destruction of life on earth certain. The Royal Academy intend to counter this threat by reversing the planet's magnetic poles; this, they believe, will cause a brief period wherein the earth will have no electromagnetic field at all, thus allowing the comet to sail safely by. The great Lord Kelvin is at work on a device to effect this. St. Ives, meanwhile, is convinced that the Academy's plan will irradiate the earth. He has some save-the-world ideas involving volcanoes (and the hollow-earth theory) himself. This is only the beginning, though. 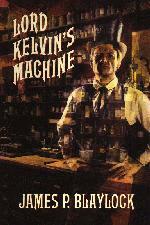 Lord Kelvin's machine has other uses, as a time machine, for instance, and there is unfinished business between St. Ives and the possibly-late Dr. Narbondo. A story with this title appeared in Isaac Asimov's Science Fiction Magazine December 1985. 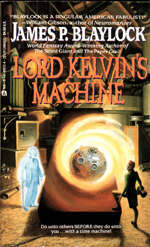 Another, unpublished story, "The Drowned Ships" was written as a sequel, and these eventually got incorporated into the novel Lord Kelvin's Machine, along with "The Time Traveler", a prologue, and an epilogue.